Most people know me as a poet. I’ve been writing poetry since the early 1990s and have been lucky enough to have books p ublished with a fine poetry press, Salmon. But I’ve always been interested in stories. Many of my poems had a strong narrative thread; I explored family history, in particular the exciting life led by my maternal grandparents during the first quarter of the 20th century. Granddad fought in all the conflicts of that period, from World War 1 through the War of Independence to the Civil War. My grandmother lived through that brutal period, and saw many acts of violence in her own home town of Kiltimagh, Co. Mayo. Poetry allowed me to get inside the heads of these characters via dramatic monologue; I enjoyed the compression that the poem required, and the tension with the expansiveness that storytelling called for. But the more I researched my grandfather’s life, the more I read of the chaotic period that followed Civil War and the early years of the fledging Irish State. Essentially Ireland was in a limbo where war had petered out rather than ended, and many people hung on to the arms they’d been using during the war. Added to that were the tens of thousands of men made redundant by the National Army, many of whom had no work to go to. The recipe was civil disorder on a massive scale. So it struck me forcefully that there would be a terrific novel, or series of them, to be written about extraordinary period when people were emerging stunned, brutalised and shaken by a decade of violence. I looked on the shelves of bookshops and libraries, but couldn’t see anything. There have been some wonderful examples of Irish historic crime fiction in recent years, but they were either set earlier (Conor Brady, Kevin McCarthy) or later (Joe Joyce, for example). So I decided to have a go. 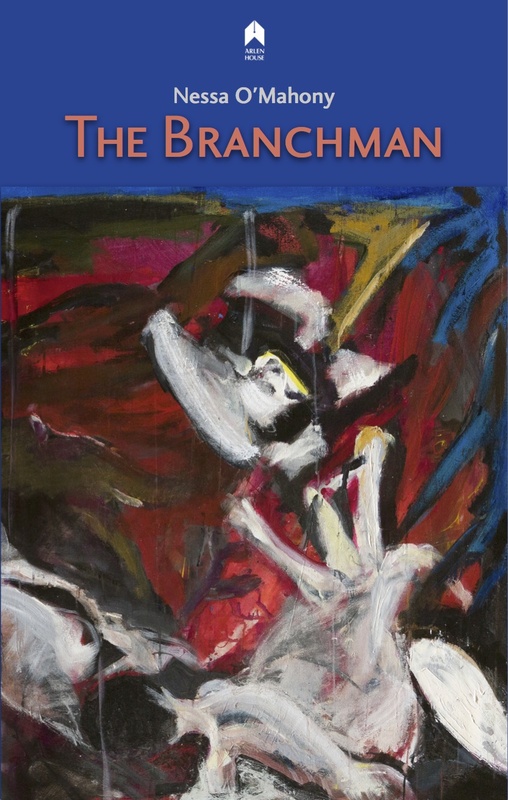 I’ve spent my life teaching students that we should learn through practice, so that’s what I set out to do with my first crime novel, The Branchman. I began at the beginning – well, first let me stop and wind back a little earlier to when it really started. I began with books. I grew up reading crime – Agatha Christie was my teenage obsession – and I’ve always loved the TV police procedurals on the Morse / Endeavour / Lewis model. I love character-driven mysteries, where we discover the truth at the same pace as the protagonists. So back to my second beginning, when I signed up for a crime-writing course being taught by Louise Phillips at the Irish Writers Centre. Over ten weeks, Louise taught a room crammed with crime fiction enthusiasts the basics of narrative, structure, building suspense and creating character. Some of the principles I was already familiar with, having taught fiction for a number of years, but the specific requirements of crime-writing were new to me. So too was the practical advice on how to write a novel, bit by bit. As a poet, I’d always been overwhelmed at the scale of a novel; used to writing in short bursts, I couldn’t imagine having the stamina to write up to 100,000 words. But Louise sensibly pointed out that a novel grows; if you write 500 words a day, in six months you’d have 90,000 words and more. Louise handed us out a grid marked out in days and weeks, and invited us to put in our daily word count. For a literalist such as me, that was all the encouragement I needed. I proudly handed in my weekly word count, and by the end of the course I had more than 15000 words written. Sustaining that momentum in the weeks and months after the course proved difficult. A jobbing writer, I had assignments to mark, courses to teach, life to live; the sorts of excuses we all find ourselves making. And yet I didn’t want to waste what I had already done, or stop thinking about the story and characters I had already been imagining. So I resumed my daily schedule, getting up at 5.30 (thanks, hormones, for that extra time gained) and working to produce at least 1,000 words each day. By the following spring, I had a complete first draft. Then, two things happened, one unfortunate, one incredibly fortunate. I’d given the first draft to my brother, who had a friend who was an avid reader of the sort of book I was trying to write. He’d passed it on and promised to revert with feedback. Time passed, and there was no word. When I finally followed up, he airily mentioned that it hadn’t held his friend who’d given up after 60 pages. I discovered this on the first day of a writer’s retreat where I’d planned to spend the time redrafting the novel. The reader’s response devastated me; I sat surrounded by proof pages and crushed ambitions. The fortunate thing happened on the same day. I was contacted by a wonderful writer, Ferdia MacAnna. He was calling about something else entirely, but I took the opportunity to vent my distress. He offered to read the offending 60 pages and, when he contacted me a short while later to tell me how much he’d enjoyed the whole draft, making very constructive suggestions for improvement, I knew I’d found a trusted editor. I’d also re-found my confidence. With Ferdia’s advice I completed three further drafts, and by the Autumn of 2017 it was ready to send out. I began the task of researching the names of agents and publishers, feeling that UK big names were the place to start. Not surprisingly, I got very little response (only one agent replied of the three I’d identified). Crestfallen yet again, I began to wonder if the type of novel I was writing (a historic crime fiction set in the post Civil War period) was more suited to the Irish market. At this point, fate intervened once more. I got a phone call from the publisher, Alan Hayes of Arlen House, who I had worked with on a critical study of Eavan Boland that I’d edited alongside Siobhán Campbell. He asked how the novel was going, and I told him. He offered to read it and, a few months later, told me he’d loved it, and would be happy to publish it. That simple. Though of course nothing is ever that simple. As anyone who has published a book will know, getting it out there is just the start of it. It’s a constant challenge to get readership, to get space on those bookshelves I pored over looking for the sorts of narratives I wanted to read. I’ve had a great word of mouth response from initial readers, and amazing support from festival organisers and libraries (note to new writers – it’s always worth directly emailing librarians to ask if they’ll stock your book – they often will). So the story is still only beginning for me and for my Detective, Michael Mackey. How long it will last remains to be seen. This entry was posted in historical fiction, local writing, novels, publishing, Writing process and tagged crime writing, historical novel, Ireland, Irish writers, novel. Bookmark the permalink.